Sun, sand & sea: It's Bali's best beaches! It’s official – welcome to Hot New Beds. Our new, monthly round up of cool new places to stay, from villas to resorts to boutique B&Bs, across this beautiful island of the gods. We know how much our readers love Hot New Tables, so it’s time to share the coolest and chic, luxe and fabulous places to lay your lovely heads on your next trip to paradise. Don’t wait too long though, as Bali-withdrawals is a real thang you know! Be the first to check into this brand new home of luxurious (did we say luxurious?) 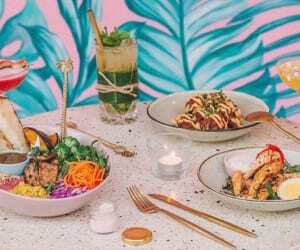 Ubud bliss – because it opened three days ago! Mandapa (meaning temples in sanskrit), a Ritz-Carlton Reserve, is a secluded paradise where you will mix lush, rolling hills, the Ayung River and rice paddies with personal butler service and luxury accommodations featuring private outdoor spaces with amazing views. 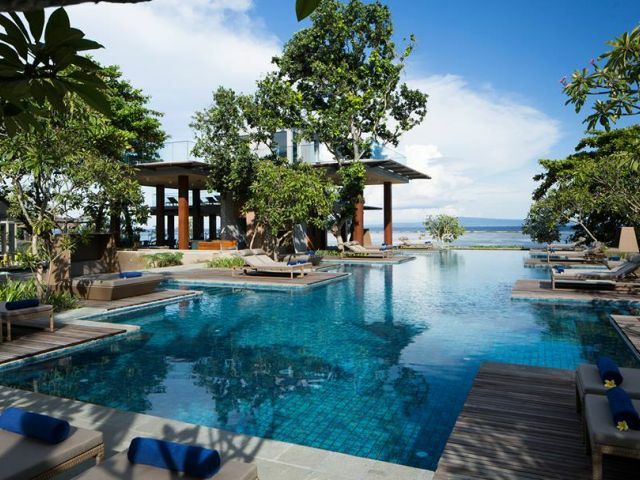 An intimate hotel of only 60 villas and suites, Mandapa, a Ritz-Carlton Reserve, features two swimming pools, a luxury spa and active excursions to awaken the spirit. 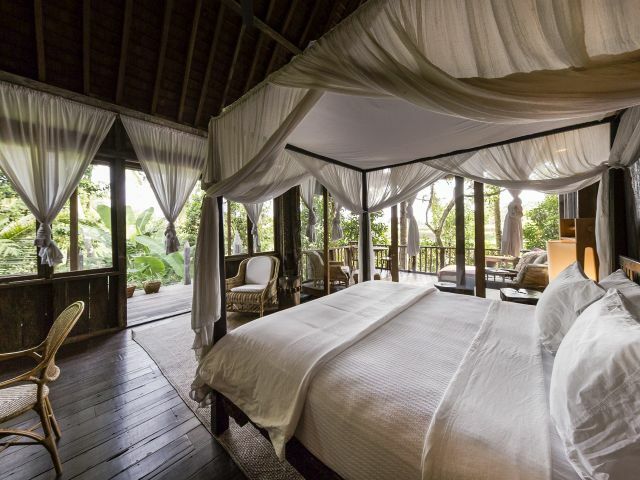 Mandapa Ritz-Carlton Reserve, Jalan Kedewatan, Banjar Kedewatan, Ubud Gianyar, p. +62 361 479 2777. This is one of our most exciting and favourite discoveries, as it’s really only something you’d hear from your besties (we actually thought twice about sharing it). The Stone House Bali is a beautiful piece of private, designer chic luxury, only minutes from the Ubud town centre. The inspiration of a lifelong dream, the Stone House began as a passion for all things beautiful; gardens, textures, colours, materials and the exotic. Now, the Stone House is made up of three individual suite pavillions each with their own designer style – choose from wow African Safari, or cool European chic. Even sharing the common areas of pool, kitchen, dining, living and lounge is pure pleasure, and still so private. 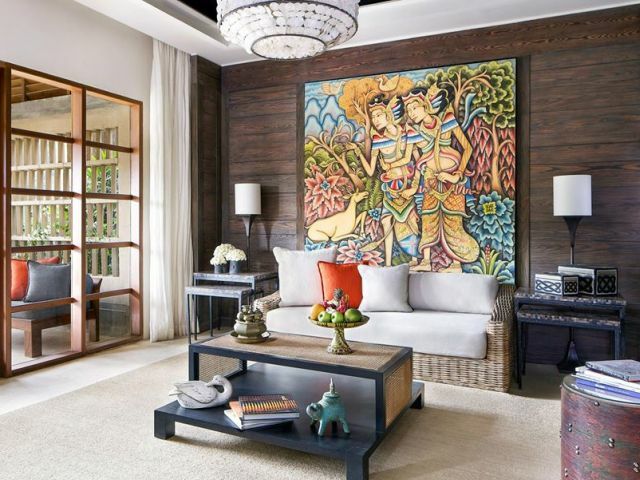 This perfect mix of authentic Balinese, rustic chic, and luxurious style is one to write home about (if you will share!) 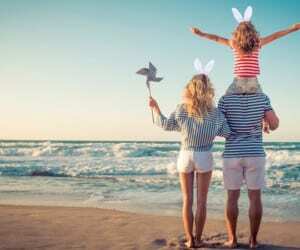 – ideal for a family or a group of friends, creating an air of exclusivity. And you’ll adore owners Walker and Wendy, who are so happy to share their Ubud secrets with you over an exotic cuppa. Amazing value for great sized rooms make Koa a great option – the roof pool & bar makes it amazing! At Canggu’s first surf themed hotel, you’re only around 400 steps away from the sand, waves and beach bars of Berawa Beach and its easy beach-walking proximity to Echo Beach to the north, and Seminyak to the south. Or in scooter terms, five minutes to Echo Beach or 15-20 minutes to Seminyak pending traffic delights. 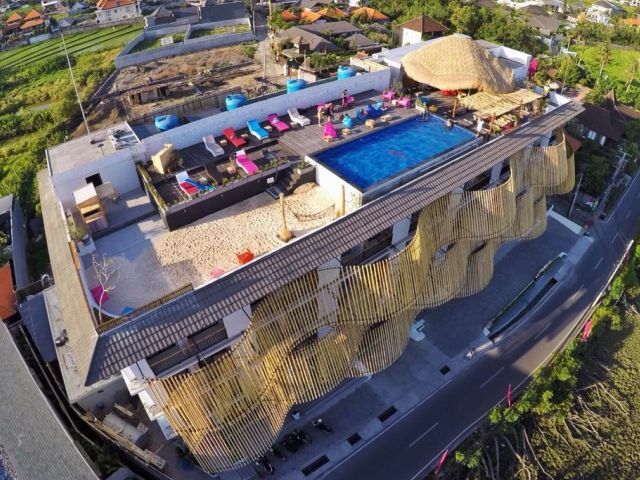 The hotel offers rooms or suites, but (aside from the surf proximity) the best feature is that fabulous roof top pool – Canggu’s first! And the simple but stylish decor and bamboo-waved exterior makes the value price – starting at IDR 500,000! – feel totally luxurious. Koa Surfer Hotel, Jalan Pantai Berawa, Sri Kahyangan Berawa, Brawa, p. +61 (0)361 474 1328. 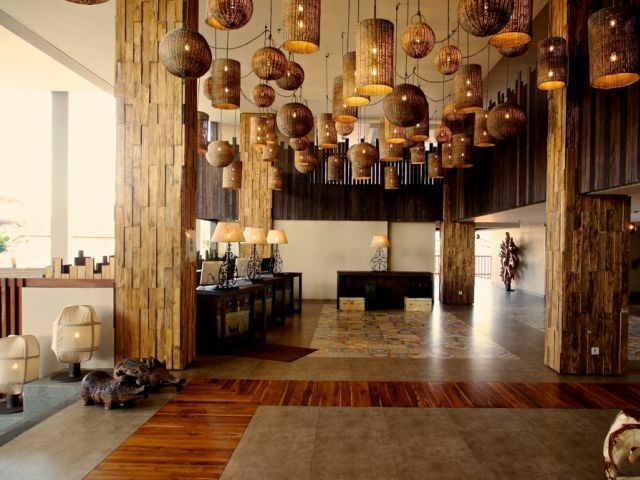 For anyone who knows Maya Ubud, you know that you’ll love their new Sanur address. Maya Sanur Resort & Spa is a stylish beachfront resort with 103 thoughtfully designed rooms, three elegant swimming pools (yup – that includes a 158-meter divided lagoon pool), the award-winning Spa at Maya, three dynamic dining venues, plus a beachfront tree bar with panoramic ocean views on all three levels. Enough? That’s all, of course, in addition to the chic Maya style and decor, that beautifully merges the traditional Balinese concept of living harmoniously with nature, with a stunning rooftop garden showcasing intimate spaces and inspiring lagoon views. Maya Sanur, Jalan Danau Tamblingan No. 89M, Batujimbar, Sanur. 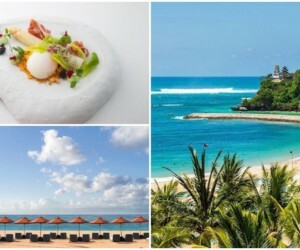 Looking for a luxe, designer stay with four-star hotel benefits, smack bang in the middle of Bali’s trendy bars, beaches, restaurants, nightlife and shopping hot-spot? Swim right up to your room or hang at your rooftop pool and bar, as Indonesia’s first Four Points by Sheraton Bali hotel opened only a month ago! 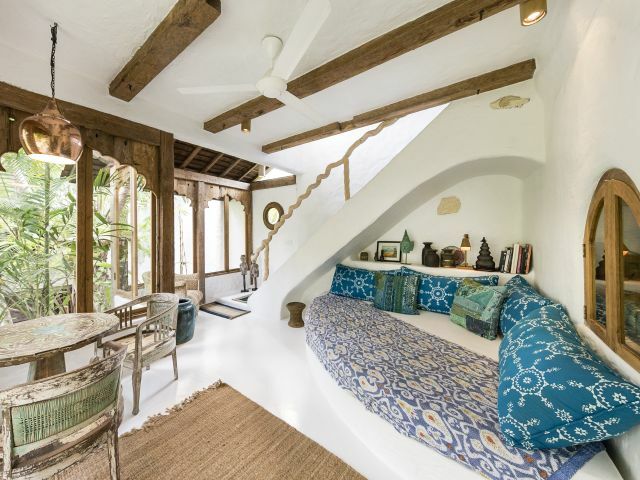 The gorgeous Bali-inspired, design is fused with antique French charm, created by the international, Bali-based interior designer Zohra Boukhari. The award-winning designer responsible for many of Bali’s most fashionable places (Bistrot in Seminyak, and Jimbaran’s Balique) has brought luxe chic to Kuta, and we’re all for her touches injecting fashionable style into the happening ‘hood. Four Points by Sheraton Bali, Jalan Benesari, Banjar Pengabetan, Kuta Bali 80361, p. 62 (0)361 849 6606. 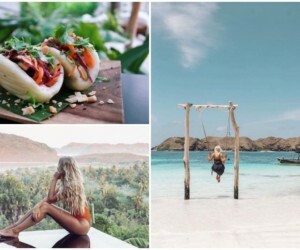 After a fabulous PR-life in Australia, NYC and London, Narelle happily swapped editorial sides and is loving exploring life, tropical sunsets and homewares shopping in one of her favourite homes: Bali.